So take a look at the featured image. 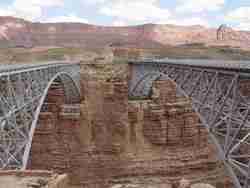 It’s the Navajo Bridge, spanning the Colorado River just north of Grand Canyon National Park. Interesting – the wider bridge on the right replaced the original bridge (left) for purposes of driving safety (that’s a confidence builder). Gettin’ the creeps? Heart thumpin’? Breath short? All of the above on this side of the fence. Yes! The producer of chipur, a licensed counselor and anxiety disorder vet, remains horrified of bridges. I have gephyrophobia. Well, that, my chipur lovelies, is a specific phobia – an anxiety disorder. I’d like to present a series on the specific phobias (in fact, I will). Today we’ll swirl-around what they are. And we’ll come back with an article (or two) on their cause and treatment. Okay, those of you who frequent chipur know I’m not exactly in-love with the psychobabble diagnostic good-book, the DSM-IV-TR (editorial: name too long to bother with). However, within the context of specific phobia it’ll at least provide a decent descriptive point of reference. A specific phobia (good ‘ole code 300.29) is a marked and persistent fear that is excessive or unreasonable, cued by the presence or anticipation of a specific object or situation. Exposure to the phobic stimulus almost invariably provokes an immediate anxiety response, which may take the form of a panic attack. The person recognizes the fear as excessive or unreasonable. The phobic situation is avoided, or endured with intense anxiety or distress. 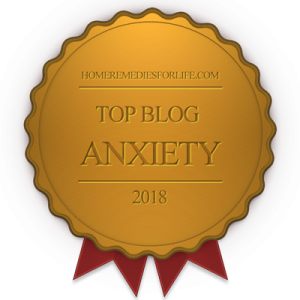 The avoidance, anxious anticipation, or distress in the feared situation interferes significantly with the person’s normal routine and level of functioning – or she/he is at least super-distressed. The emotional, mental, and physical fallout from the object or situation aren’t better accounted for by another disorder (say – obsessive-compulsive, posttraumatic stress, social phobia, panic, separation anxiety, agoraphobia). In a one-year time-frame, some 5% of the US population will endure a specific phobia – women being 2x more likely. The typical age of onset for a specific phobia is anytime during childhood and adolescence. A little something for everyone, don’t you think? Okay, we’ve gotten off to a good start by defining and describing the specific phobias. But there’s so much more to discover, including what causes them – and how they’re treated. So that means you’ll have to check-in with chipur over the next few days for the not-to-missed details. Deal? 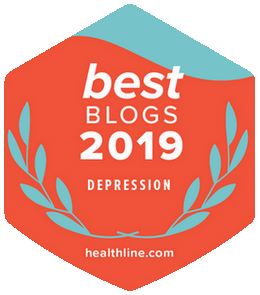 In the meantime, would you like to read more chipur articles on the psychology of depression, anxiety, and bipolar disorder? Right here. And for a listing of chipur Feelin’ Better articles, just click here. Previous Post: Future-Directed Therapy: Gotta’ Wear Shades?